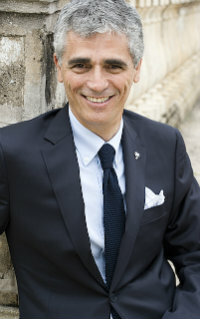 As CEO of the successful brand management firm, TURKEL, Bruce Turkel has been creating and working with valuable brands for over 30 years. When he’s not creating advertising or design for these brands, he’s a sought after expert for CNN, MIT, NAMM, MPI, UM, NSA. He’s also the author of Building Brand Value: Seven Simple Steps to Profitable Communication and two other branding and advertising business books. Bruce is currently finishing his next book, All About Them. A captivating and entertaining speaker, Bruce has spoken at MIT, Harvard, TEDx, and hundreds of corporate and industry conferences. Bruce appears regularly on FOX Business and has been on CNN, ABC, CBS, and NPR. He has been featured in The New York Times, Fast Company, Communication Arts, and AdWeek.valuable brands for over 30 years. The marketing landscape has changed dramatically and many of the old rules are out the window. Customers know everything about you before they even “step into” your business. Success today requires organizations to turn the lens around and focus relentlessly on the customer (THEM). Bruce provides key lessons and take-aways on how organizations can change their focus to succeed in this new interconnected marketplace. Bruce Turkel’s wildly entertaining presentation includes fascinating examples from Johann Sebastian Bach to The Wizard of Oz, from Andy Warhol’s excess to the Toyota Prius’ success, from the history of the Spanish Civil War to headlines ripped right out of today’s paper. Your audiences will be enlightened, entertained, and educated by Bruce’s talk. They’ll come away thanking you for a great event AND a great plan for their future. Your presentation gave everyone new concepts and veiwpoints that will enable us to differentiate ourselves from competitors. Your presentation also closed out our conference on an energetic and upbeat note, – Vice President, Institute of Scrap Recycling Industries Inc.
Bruce, thank you so much for speaking at our Fast Fix Convention! Feedback from the attendees was very positive.